Furry Friends would like to thank the following businesses for their support! Goodwill Wine have a wonderful selection of Wines just in time for those special occasions or just because! Celebrate with a nice glass (or two) knowing that you are helping us make a change to the lives of unwanted companion animals. 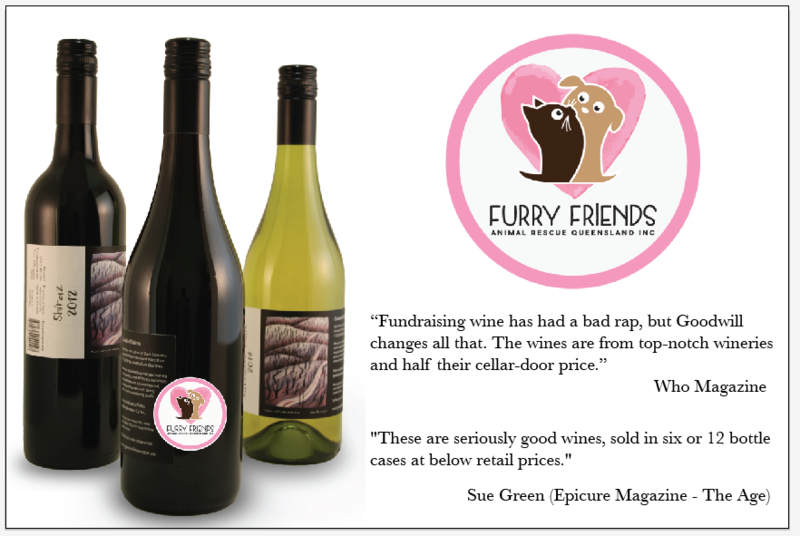 These bottles make fantastic gifts and a minimum of 50% of Goodwill Wine's profits from every bottle you purchase goes to Furry Friends ARQ. Click the below image for our sponsor's deal.